Design elements include lettering, borders, and even illustrations. First, of course, are the inscriptions where lettering styles are an important consideration. Some dealers may have limited selection of styles of lettering available. Others can provide virtually unlimited choices of type styles. Some dealers charge a flat fee for all inscriptions, while others may charge you "by the letter". Borders and other decorations are often done as flat carvings, in which shapes are carved into the stone at a uniform depth. Some dealers may be able to create shaped carvings, which provide a more realistic three-dimensional image, usually for an additional cost. 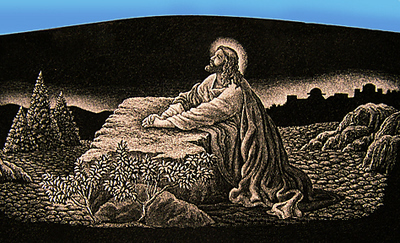 Scenic Carvings are images which are carved into the stone by the sandblasting process. This is most effective with simple shapes. 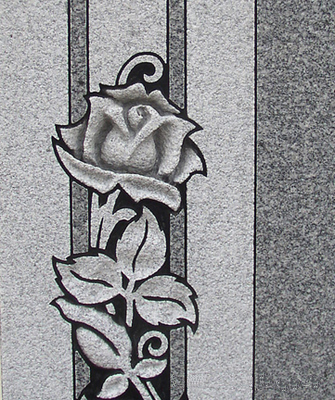 Etching is by far the most striking method of personalizing your memorial. Etching the image into the stone with a diamond-tipped tool. These images are more delicate and more realistic. 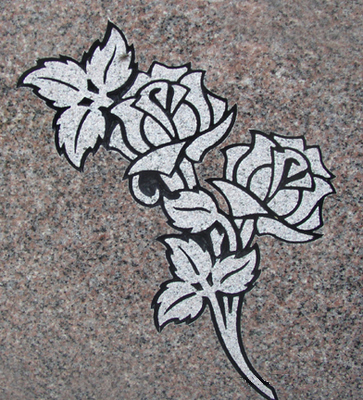 Black granite is recommended for etching. Adding an etching to your monument will also add at least $200 or more to your monument price, with more for more complicated images such as portraits. We accept all Visa, MasterCard, and Discover payment methods.